When I was a little boy we lived in a place that has this big acacia tree. It was the landmark of that place from which we’ve heard stories about a kapre living in it who would take children who are nearby when nighttime falls. During daytime we would play under it but we have to watch out for the seasonal hairy caterpillars that could give anyone a bad itch that stays for days. Years later I would find myself at an acacia again. This time it is taller, bigger, and a lot different from the one I used to know. This acacia neither has any hairy caterpillar dangling from it nor does it have scary folklores. It is the acacia where I would want to be at anytime. It is the Acacia Hotel Manila in Alabang. The acacia sans the hairy caterpillars. Thanks to online promos, and wifey’s knack to find one, we once again got a good deal from dealgrocer.com that allowed us to be closed to the Lawsons who were then booked in Bellevue. The deal landed us a discounted accommodation in Acacia Hotel which I say must is one of the most strategically located hotels in the area. On Saturday, June 6, we got a room that has something the previous ones do not have. The sparkling blue water peeking in through the wide glass window immediately got our attention. Marcus loves swimming pools so the fact that there is one right outside our room on the third floor was a welcome sight. With our bag unpacked halfway, Marcus and I were on our swimsuits in no time. 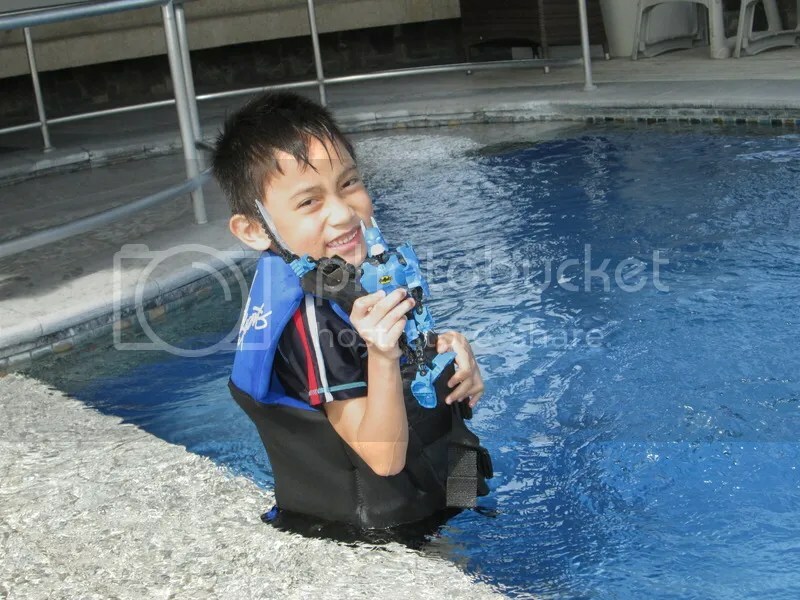 Because Spongebob is a stuffed toy so he got Batman in the pool instead. Looking down from the pool area I confirmed the hotel’s proximity to other establishments. From there the new Commercenter (that recently opened its cinemas) is a few steps away with its Yellow Cab Pizza Co. branch clearly visible. Right across on the other side of the Acacia Hotel are McDonalds and IHOP restaurants. And anyone who needs some medicines, like I did due to a nagging toothache, the Mercury drug store is just right behind the hotel. At the same area are banks that you could use especially if your account has more than enough to purchase an Audi which by the way has nearby a showroom. Another car dealership along Commerce Avenue is BMW. (I haven’t been inside any of it but I dreamt about entering one. If only dealgrocer.com offers car discounts that we can’t refuse.) 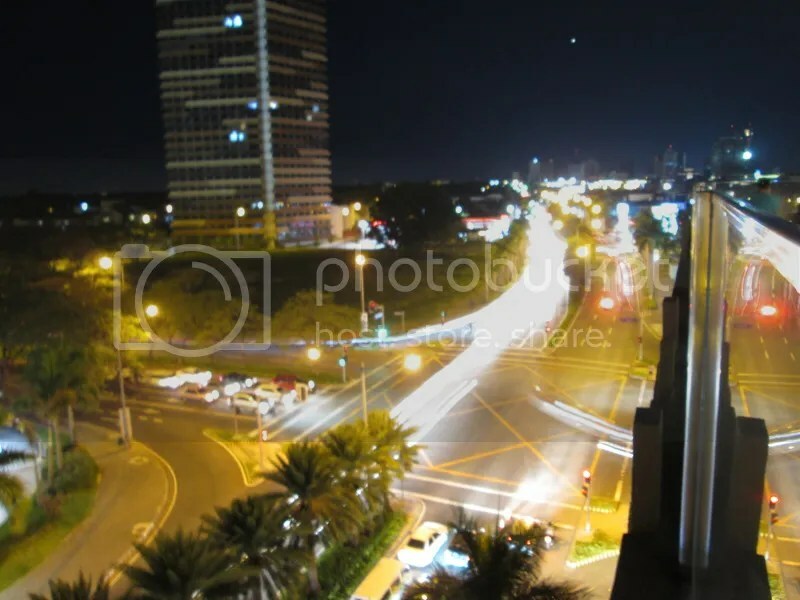 The Acacia Hotel is also in the middle of two popular malls in Alabang. The Ayala Town Center is located about a kilometer away and on the opposite direction one would find the Festival Mall. Busy night traffic shot from the pool area. Dining at the Hotel Acacia Manila is definitely something to look forward to. The dining area is surrounded by glass windows with a high ceiling that isolate anyone from the noise of traffic outside yet at the same still get the hotel guests see the activities of the commercial district while they enjoy a romantic dinner or a sumptuous buffet breakfast. The friendliness and service of the staff are also remarkable. Worth mentioning is the pool attendant who checked if there is something he can do to help when he saw Marcus trip in the pool during our nighttime dip. 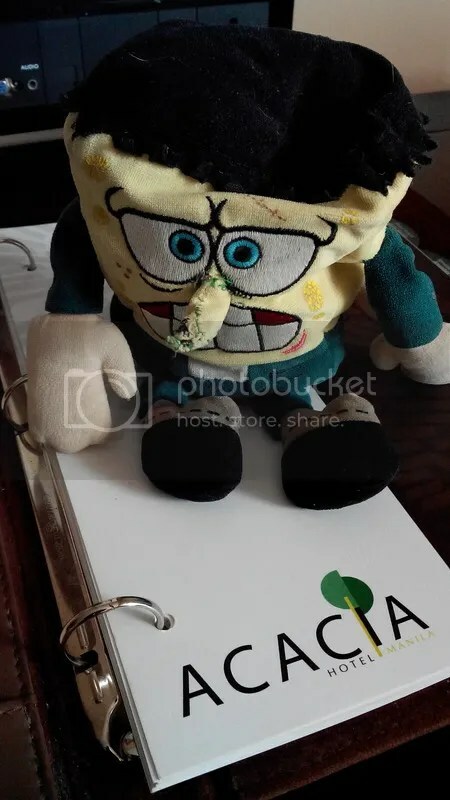 And then there’s the teamwork of the hotel receptionist and room service who made sure that they find Marcus’ Spongebob stuffed toy which we forgot to pack on our last day. You never know how your gestures made our two-day stay something that we will remember. 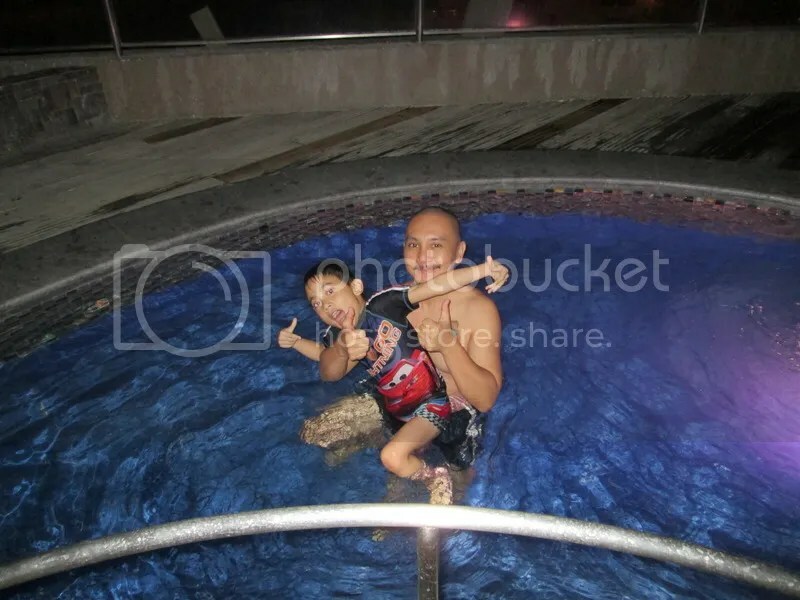 The breezy pool area did not stop us from taking a night dip. The initial plan was just for an overnight stay but we soon learned that my sister and family aren’t leaving for Bacolod on Sunday. 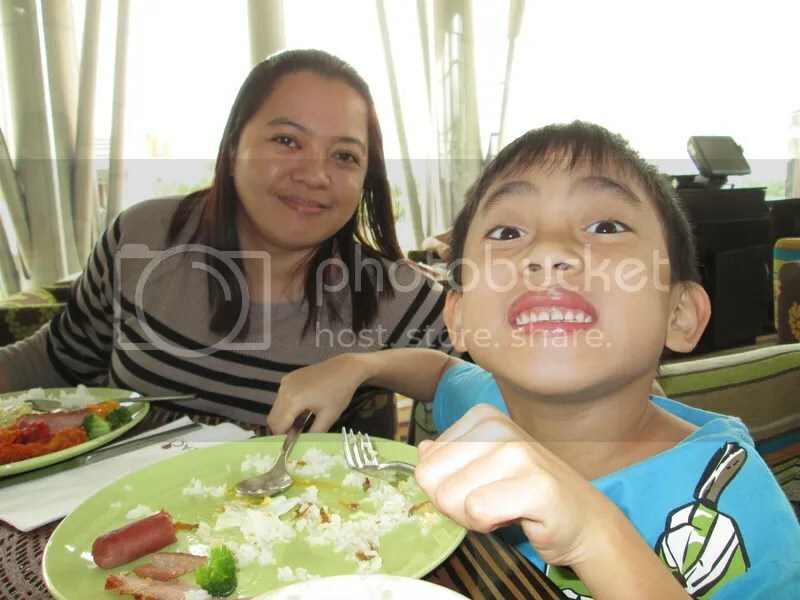 It was a good thing that wifey found another discount through dealgrocer.com that made us avoid paying P8K plus for another day. She made the deal using the HP Envy she got from the Lawons. Thanks!!! Incidentally, we checked out Monday, June 8, which was exactly a week after we had Marcus’ EMG/NCV session at Asian Hospital and Medical Center.